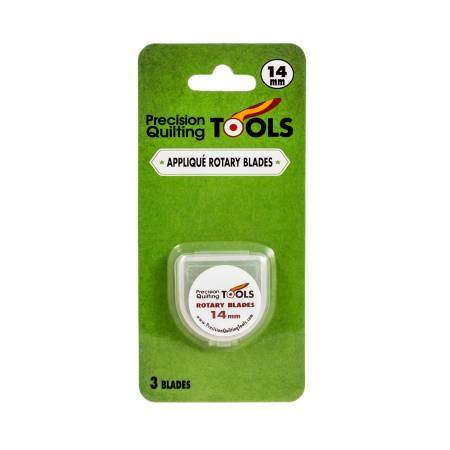 Precision Quilting Tools 14mm Rotary Replacement Blades (3 ct) made from high-quality SKS-7 Carbide Tool Steel for blades that stay sharper and last longer! Pre-lubricated to prevent rusting and corroding. Store your blades in the included snap case. Perfect for appliqué!